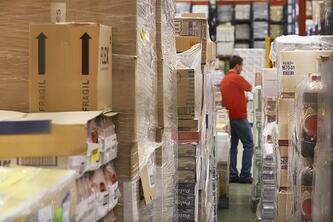 Is Third Party Warehousing (3PL) Right for My Company? You’re a start-up company with limited financial resources; or a company where fulfillment is not a core competency, but you have the need to upgrade your infrastructure (website, order management system, call center and or fulfillment operations) means an increase in expenses or requires new capital. You have seasonal spikes that run 10:1 or higher (peak vs. average sales week) and wish you could service these peaks in another way. You’re trying to build your business, and know fulfillment and customer service are critical to getting and growing sales—but fulfillment is not your core competency. Internal fulfillment costs continue to increase, impacting the bottom line. In all of these situations,third party logistics might be the answer. irements and web site requirements. Experience with your product. Example: if you are an apparel website, do the potential providers have experience with large numbers of color/size SKUs, cleanliness requirements, processing large numbers of returns and refurbishing them? Total annual cost. Make sure all costs are included. Separate startup costs from ongoing charges, and make sure you’ve calculated your own costs for the comparison. Third party warehousing services often use a laundry list of charges based on the services you use; put together an estimate of all the services and volumes of each and develop an accurate pro forma budget of those costs. Be certain the appropriate metric is applied to the right volume. Infrastructure assessment. Include your website and platform needs (development and hosting options) and functions needed from the vendors’ Direct Commerce Systems. Call handling. If you are evaluating a vendor for call center or chat services, review how they monitor their call sessions. What are their call standards? Listen in to a number of calls and evaluate how well the customer is handled. Personnel. How would you rate their management and staff? Can you see them taking good care of your customers? Is there “good chemistry” between their team and yours? Facilities. Visit their facilities. Do they appear to have the capability to meet your requirements? Do they appear to be clean and organized? Do they have the available capacity, flexibility and scalability? Reference check. Make reference calls to a large number of their clients, especially those in your niche. Would they use thir dparty logistics and, especially, this vendor again? Gut check. Do you trust them to do the right thing when problems arise, since the thir dparty logistics vendor directly services your customer? Put together a decision matrix of all the criteria. Compare your fully loaded operating cost per order with the vendors’ responses. Does outsourcing give you sufficient advantages compared to internal fulfillment operations? An independent consultant experienced in third party warehousing projects can bring detailed insight to this analysis, shorten the vendor list and help you with due diligence. Outsourcing fulfillment and call center services could provide cost savings when the internal cost per order exceeds that of outsourcing. Outsourcing allows you to focus on the core of the business, typically marketing and merchandising. You may be able to improve and enhance your current business model based on the experience of the outsource provider. Outsource can provide you business more consistent customer service. Allows you to use capital for other business opportunities.